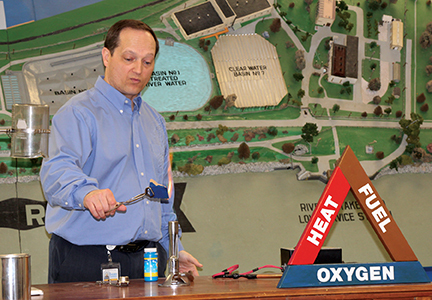 Employee Speakers Bureau - We offer free natural gas and water presentations and mascot appearances to schools, civic groups and community organizations. For more information or to schedule a presentation, visit the Education Programs tab at the left. Heat Aid Fund - In 1983, the District established the fund, which is administered by several agencies. Since its inception, the Fund has served more than 35,000 customers, including seniors, people with disabilities and families in crisis. Heat the Streets Run & Walk for Warmth - The District partners with other local utilities, corporations and agencies for this annual 5K and one-mile walk to support energy assistance programs to help families and individuals who struggle to pay their utility bills. Visit the event website for more information! Partnership 4 Kids - Some of our employees have served as volunteer mentors in this organization, which helps disadvantaged Omaha Public School students from pre-kindergarten through high school stay in school and graduate. Visit their website for more information. United Way of the Midlands - District employees generously donate through the annual campaign every fall. Every year our employees and retirees donate more than $100,000 to support local community programs. Visit their website for more information.